Six steps that stop me from dumbing down the gospel (when I remember to follow them). A lighthearted look at what we've all learned about church and the ministry from TV and movies. I used to waste a lot of time arguing over these issues. Now? Meh. On some things, apathy is the best policy. I’m calling a moratorium on indiscriminate complaints about the church. If it’s not specific, constructive, and impartial, I’m not interested. With so much evil done in the name of religion, how is being a Christian any different? Struggling churches can learn a lot from the integrity and perseverance of the church members who sailed on the Mayflower and changed the world. Sometimes grace needs to take an uninterrupted victory lap through our lives. A humble call to remind all of us that it’s about Jesus and his church, not our little segment of it. 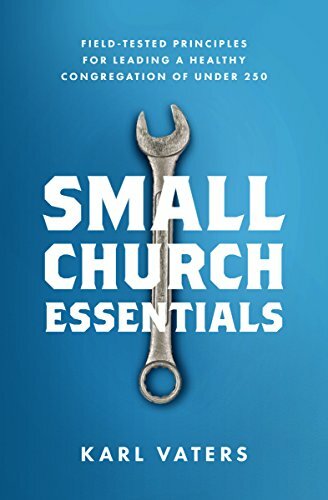 Instead of arguing over big or small, let's utilize what's best about churches of all sizes. We're better with all of us than without any of us. The world isn’t looking for someone to win the latest debate in the culture wars. They’re looking for an alternative to the whole mess. Churches that adapt their methods to advance Jesus’ mission will struggle, but survive and thrive.